Now that the Robert Mueller investigation is over and the special counsel has found no evidence of collusion between President Trump and Russia, Sen. Lindsey Graham (R-SC) wants to talk about "the other side of the story." At a press conference Monday, Graham said he wants answers about that suspicious FISA warrant the FBI used to spy on former Trump campaign advisor Carter Page. The FISA warrant, he said, "is at a minimum disturbing." The FBI used the now infamous Christopher Steele dossier, which had not been corroborated, to obtain the warrant. "Whether it’s illegal I don’t yet know," Graham said. Yet, he knows he's "going to get answers." Judging by one of his recent tweets, the senator, who serves as the chairman of the Senate Judiciary Committee, knows at least one former intelligence figure he's going to try to get them from. Graham predicted that if the shoe were on the other foot and it was the Hillary Clinton campaign who'd been the subject of investigation, there'd be "endless chatter on cable networks." "I am 100 percent convinced that if the Republican Party had hired Mr. Steele to investigate Clinton and the report was prepared, everybody in the world would have it on the front page." He reminded the press that he had been supportive of the Mueller probe since the beginning and told Trump "to his face" that if he did collude with the Russians, that would be the end of their relationship. 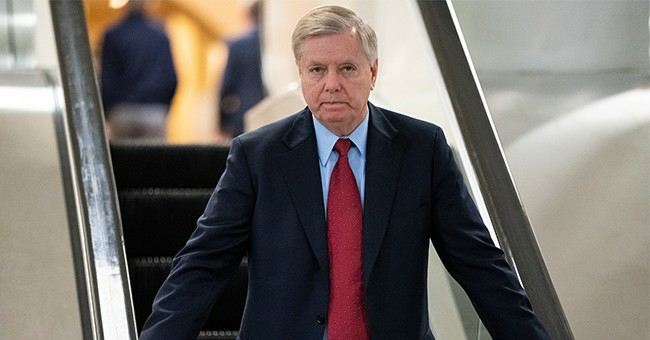 Looking ahead, Graham said he wants Attorney General William Barr to testify.